PHILADELPHIA, Pennsylvania—Body shaming is a pervasive form of prejudice, found in cyber bullying, critiques of celebrities’ appearances, at work and school, and in public places for everyday Americans. People who are battling obesity face being stereotyped as lazy, incompetent, unattractive, lacking willpower, and to blame for their excess weight. The pain of these messages may take a toll on health and increase risk of cardiovascular and metabolic disease, according to a new study published in Obesity, the journal of The Obesity Society, led by a research team from the Perelman School of Medicine at the University of Pennsylvania. The team led by Rebecca Pearl, PhD, an assistant professor of Psychology in Psychiatry and colleagues from Penn’s Center for Weight and Eating Disorders found that, above and beyond the effects of body mass index (BMI) and depression, higher levels of weight bias internalization were associated with increased risk for cardiovascular and metabolic disease. The team examined 159 adults with obesity who were enrolled in a larger clinical trial testing the effects of weight loss medication, funded by Eisai Pharmaceutical Co. – the majority of whom were African American women, a group typically underrepresented in weight bias research – and completed baseline questionnaires measuring depression and weight bias internalization before any intervention was given. Weight bias internalization occurs when people apply negative weight stereotypes to themselves, such as believing they are lazy or unattractive, and devalue themselves because of their weight. Participants also underwent medical examinations, which determined whether they had a diagnosis of metabolic syndrome, a cluster of risk factors, such as high triglycerides, blood pressure, and waist circumference, which are associated with heart disease, type 2 diabetes, and other obesity-related health problems. Initially, no relationship was observed between weight bias internalization and metabolic syndrome when controlling for participant demographics, such as age, gender and race. However, when patients were stratified into two groups, “high” and “low” levels of weight bias internalization, those with high internalization were three times more likely to have metabolic syndrome, and six times more likely to have high triglycerides as compared to participants with low internalization. Researchers note that previous studies have shown that exposure to weight bias and stigma negatively affects mental and physical health, specifically demonstrating that these experiences can lead to a physiological stress response such as increased inflammation and cortisol levels, and can escalate unhealthy behaviors such as overeating and avoiding physical activity. Additional research, specifically larger, longer-term studies, are needed to further explore the possible biological responses and behaviors that may explain why individuals with obesity who internalize weight bias might be at greater risk for cardio-metabolic disease. LA JOLLA, California—Biologists at The Scripps Research Institute (TSRI) have identified a brain hormone that appears to trigger fat burning in the gut. Their findings in animal models could have implications for future pharmaceutical development. The researchers deleted genes in C. elegans to see if they could interrupt the path between brain serotonin and fat burning. By testing one gene after another, they hoped to find the gene without which fat burning wouldn’t occur. This process of elimination led them to a gene that codes for a neuropeptide hormone they named FLP-7 (pronounced “flip 7”). About The Scripps Research Institute. The Scripps Research Institute (TSRI) is one of the world’s largest independent, not-for-profit organizations focusing on research in the biomedical sciences. TSRI is internationally recognized for its contributions to science and health, including its role in laying the foundation for new treatments for cancer, rheumatoid arthritis, hemophilia, and other diseases. An institution that evolved from the Scripps Metabolic Clinic founded by philanthropist Ellen Browning Scripps in 1924, the institute now employs more than 2,500 people on its campuses in La Jolla, CA, and Jupiter, FL, where its renowned scientists—including two Nobel laureates and 20 members of the National Academies of Science, Engineering or Medicine—work toward their next discoveries. The institute’s graduate program, which awards PhD degrees in biology and chemistry, ranks among the top ten of its kind in the nation. In October 2016, TSRI announced a strategic affiliation with the California Institute for Biomedical Research (Calibr), representing a renewed commitment to the discovery and development of new medicines to address unmet medical needs. For more information, see www.scripps.edu. Patient FAQs on FUSE and Testing for Physicians Now Available – SAGES FUSE Program Highlighted on NBC4 Los Angeles, California—SAGES Fundamental Use of Surgical Energy™ Committee has developed Patient FAQS to address important questions about stray energy, what patients need to know, and how SAGES and physicians can address the risks. 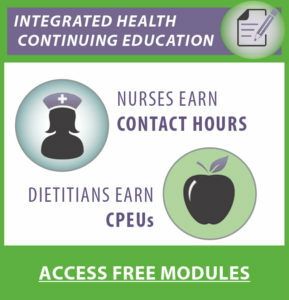 To view the Patient FAQs visit http://www.fuseprogram.org/about/patient-faqs/. Dr. Pascal Fuchshuber, SAGES Board Member and FUSE Chair, was interviewed by NBC4 in Los Angeles for a recent story regarding the risks of stray energy. Taking the FUSE Exam. To address the risks of stray energy, SAGES launched the Fundamental Use of Surgical Energy™(FUSE) program to educate surgeons and affiliated OR staff about the safe use of surgical energy-based devices in the operating room, endoscopic suite and other procedural areas. The FUSE exam will be available by appointment at the SAGES Annual Meeting, March 22–March 25, 2017 in Houston, Texas. Before making an appointment to take the exam, you will need to purchase a FUSE test voucher and review the FUSE didactic content. Visit www.fuseprogram.org to prepare and enroll, or for additional testing locations in your area. About SAGES FUSE Program. The multidisciplinary FUSE program, created by Drs. Steven Schwaitzberg and Daniel B. Jones, meets a crucial gap in surgical education as, previously, no formal training program had existed that promoted safety in the OR when using surgical devices. The program includes a didactic curriculum and covers a number of topics including the fundamental principles of electrosurgical devices, practical aspects of commonly used energy devices in various settings, integration of energy systems with other devices, as well as prevention of operating room fires. A FUSE certification exam is offered that ensures successful learners have acquired the needed knowledge. SAGES encourages mastering fundamental skills in order to ensure a safe standard of care for all patients undergoing surgery. About SAGES. SAGES, The Society of American Gastrointestinal and Endoscopic Surgeons, was founded over 30 years ago with the mission improving quality patient hair care through education, research, innovation and leadership, principally in gastrointestinal and endoscopic surgery. SAGES is a leading surgical society, representing a worldwide community of over 6,000 surgeons that can bring minimal access surgery, endoscopy and emerging techniques to patients worldwide. SAGES has been at the forefront of best practices in laparoscopic surgery by researching, developing and disseminating the guidelines and training for standards of practice in surgical procedures.